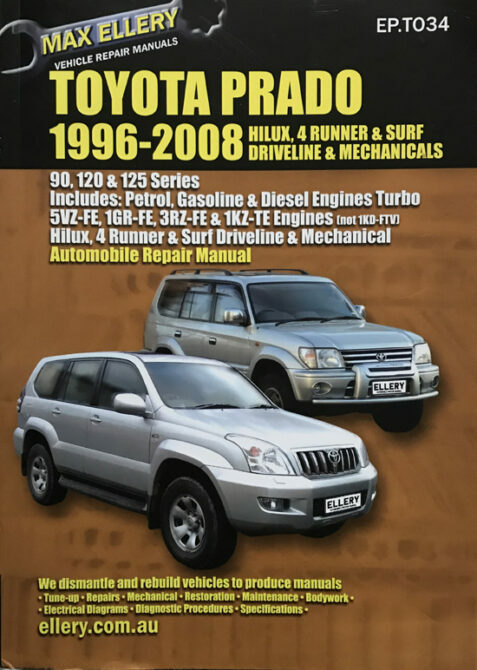 This is a comprehensive repair and maintenance manual for the Toyota Prado/Hi Lux, also known as Toyota Landcruiser Colorado. The card covers are clean and in near fine condition. The binding is tight and the interior is clean and in fine condition.